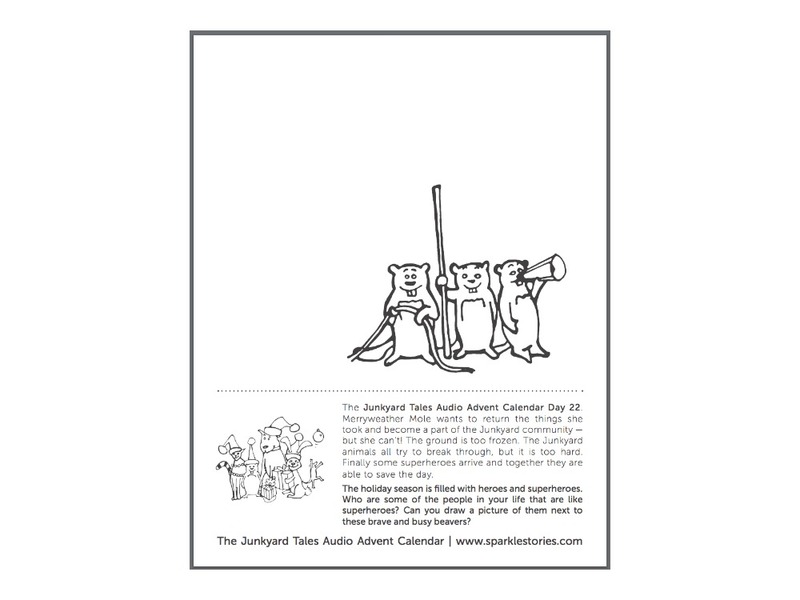 The Junkyard Tales Audio Advent Calendar Day 22. Merryweather Mole wants to return the things she took and become a part of the Junkyard community — but she can’t! The ground is too frozen. The Junkyard animals all try to break through, but it is too hard. Finally some superheroes arrive and together they are able to save the day. The holiday season is filled with heroes and superheroes. Who are some of the people in your life that are like superheroes? Can you draw a picture of them next to these brave and busy beavers?